Xiaomi is holding its Beijing event in a week, on May 10, where the company will announce the Mi Max smartphone and the Mi Band 2. Photos of the two have emerged showing the devices beforehand. The Xiaomi Mi Max will feature a flat, metal frame and the traditional for the company capacitive buttons under the screen. The specs of the phone include a 6.4" 1080p display, a Snapdragon 650 chipset with 3GB of RAM and 32GB of storage. The camera duo is a 16MP snapper at the back and a 5MP at the front. 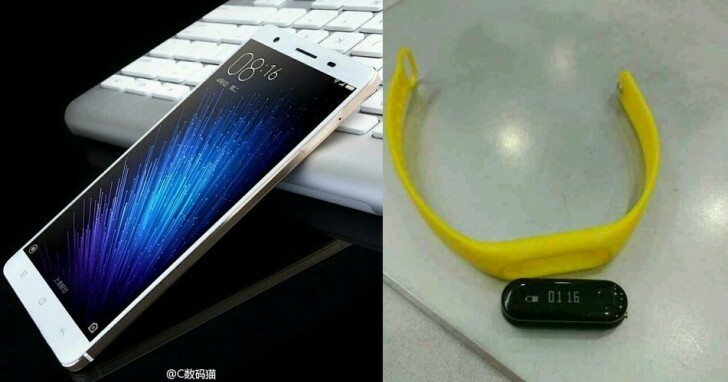 As for the Mi Band 2, it will feature a similar design to its predecessor, but with the major difference of a monochrome display. The band will also have a physical button on the right side. The display of the Mi Band 2 will show the time and battery status in addition to daily steps, heart rate and other stats. Whatever starts with redmi is a budget friendly device like redmi1s, redmi note and whatever starts with Mi is the best Xiaomi can produce, eg. Mi5, Mi Note.